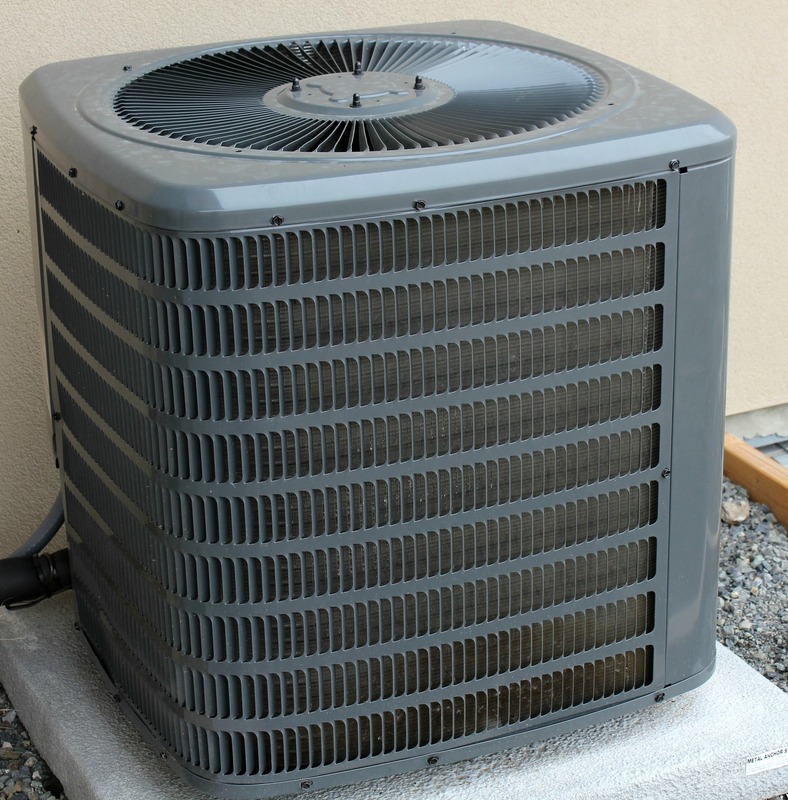 When you think of home air conditioning systems, the most important component is that it keeps you cool, it doesn’t run up your utility bills, and it’s affordable. But how often do homeowners think about what type of system they have, what it means, and when it’s time for replacement, what kind of system is best? There are two basic types of central forced air systems in a residential home, a split system and a package unit. Both systems are equally suited for a residential installation, but what matters is how the home is set up for central air. This factor will be the main component on which HVAC unit you choose. If a homeowner already has a split system on their property, then they should replace with a split system as well. A split system is the standard configuration that many people think of when deciding on central heating or central air conditioning. 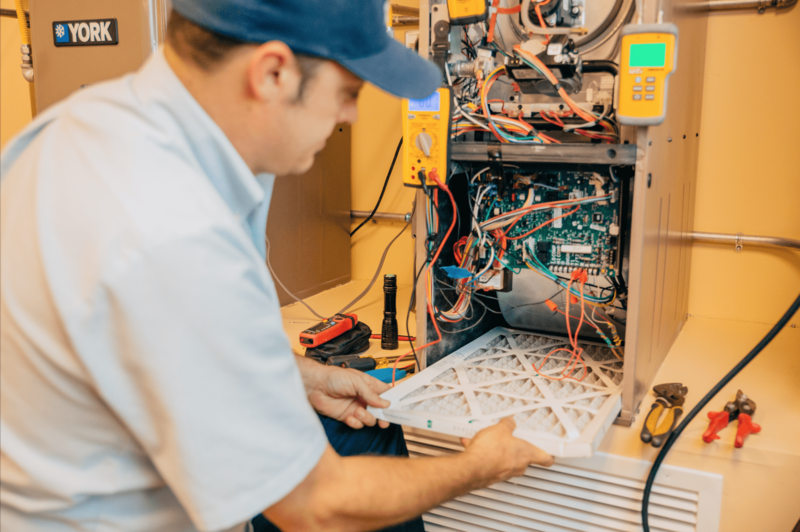 A split system has a furnace or air handler inside of the home and a condenser that houses the compressor and fan motor on the outside of the home. 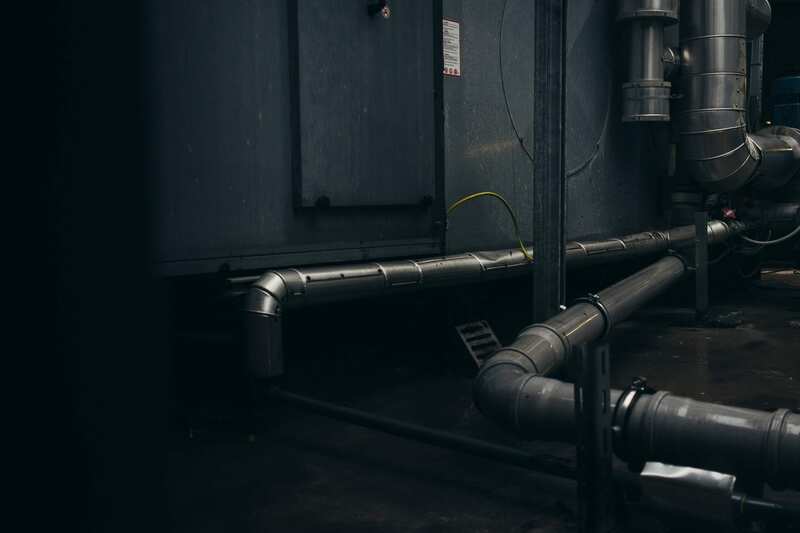 In condominiums, most units have the furnaces inside of the unit, but the condensers are typically set up on the roof. In an earlier article , we explained how a central air conditioner works by using the model of a split system. 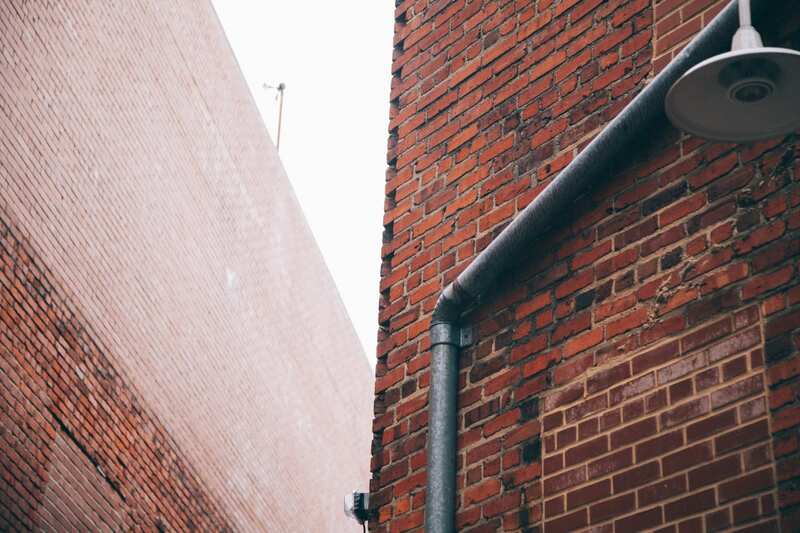 Homeowners can see just how a spit system is set up, the components it houses, and how it functions. 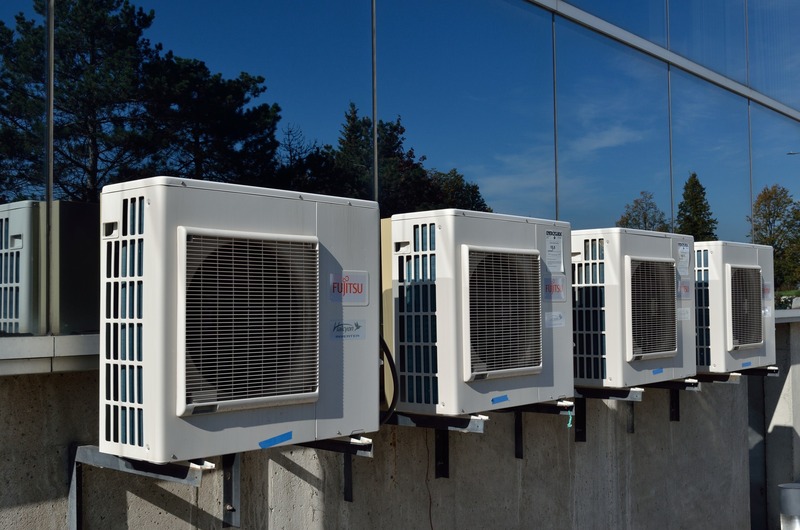 A package unit has all of the same components of a split system air conditioner; however, it houses all the parts in one large unit. Package systems are not typical in San Diego, but they can be found in some residential homes. Package units are typically installed on top of the roof of a home. A package unit comes as a gas pack or a heat pump (electric) for either home set-ups. Both a split system air conditioner and a package unit are fairly easy to maintain. Both units have ducting, fan blowers and motors, and require regular maintenance and a filter change on a regular basis, depending on use. The only reason to install a package unit versus a split system is if the home or business is already configured for a package unit. Retrofitting a space to a split system would be costly and would not offer a real benefit. Package units can be more expensive than split systems, and repairs can also be more costly. Because they are not as common, part costs can almost double. This can increase the cost to repair a package unit. Package units also have hard piping and ductwork and must be weatherproof since all components are exposed to the elements. 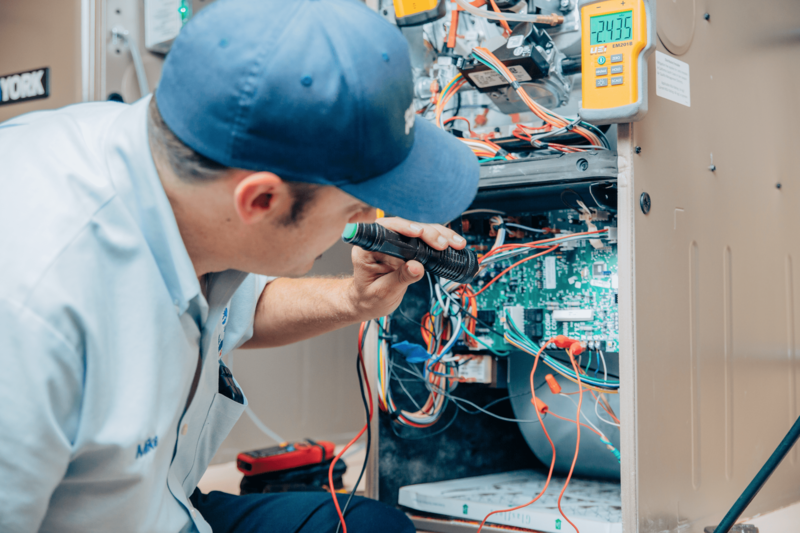 When getting estimates for a new furnace and air conditioning system, it is recommended to go with the system style that is currently installed in the home. There is no significant difference between benefits, and while some costs may vary, the amount is not enough to choose one over the other. If your home is showing signs you need an air conditioner replacement, contact Bill Howe today. Most San Diego homes are equipped with spit systems, which is great and easy to find many options. When you’re ready for a split system installation, call the experts at Bill Howe. Call 1-800 Bill Howe (245-5469) today for a free in-home evaluation.